Compare over 1,000 products from Australia's leading lenders. Find out with a free Home Loan Comparison Report. Let us show you how good we are, we'll do all the work upfront for you. Mortgage brokers and property experts. Combining technology and experience we'll determine how much you can borrow and compare 100s of home loans to find you the lowest total cost home loan. Get Started - Compare Now! How Much Can You Borrow? Personalised just for you. What’s the point in comparing a mortgage that you can’t get! You will have a list of lender that you qualify for and the maximum amount they will lend you. 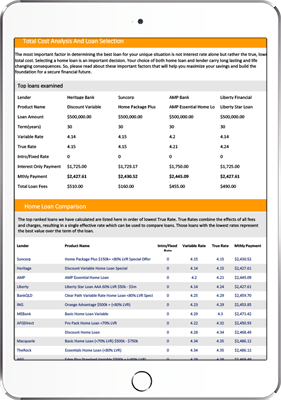 Knowing this figure will allow you to choose a lender that not only you know you qualify for but will lend you the money you need. 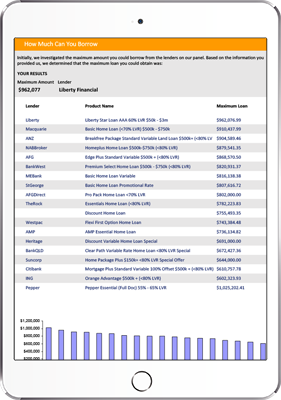 Compare Over 30 Leading Lenders. See for yourself. There are many ways to compare a mortgage, the most common is just interest rate but be warned this can cost you thousands. This report combines the effects of all fees and charges, interest rate, and any other payment options, and combines it into a single and effective rate which can be used to compare loans accurately. Loan Recommendation. Along with estimates of all your settlement costs. 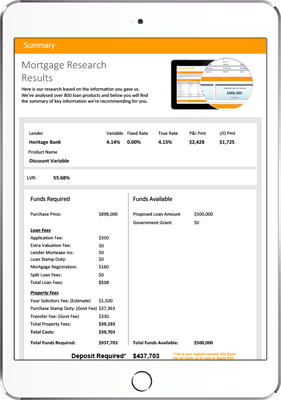 Based on the lowest total cost the report selects the loan that will save you the most over the life of the mortgage. A list of all the costs associated in getting the loan, it will even estimate your own solicitors costs based on the type of loan. Know all the government stamp duties and settlement costs of the lender, no last minute fees or cost you were not ready for! Get the complete picture, all in one place and easy to understand. Why are we different to a typical mortgage broker? Fill out our online form and we will work with you to understand your financial situation. 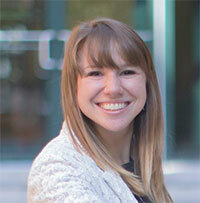 Our loans manager will personally research and prepare your report - No automatic results. We will provide expert advice to help you choose the best structure and the home loan deal that's right for you. Knowledge is key, so we know how important it is for you to understand everything to do with home loans. Just thought I'd let you know that the bank rang late yesterday doing a "new customer survey". They asked a few questions including one about our broker. I gave you a score of 11/10!!!! Told them how fantastic you were!! Thanks heaps again for all your help. Debbie - Access One customer since 2004. Recent customer satisfaction survey results shows 98% of customers rated our overall level of service excellent! Whatever your circumstances, we'll find the deal that’s right for you.